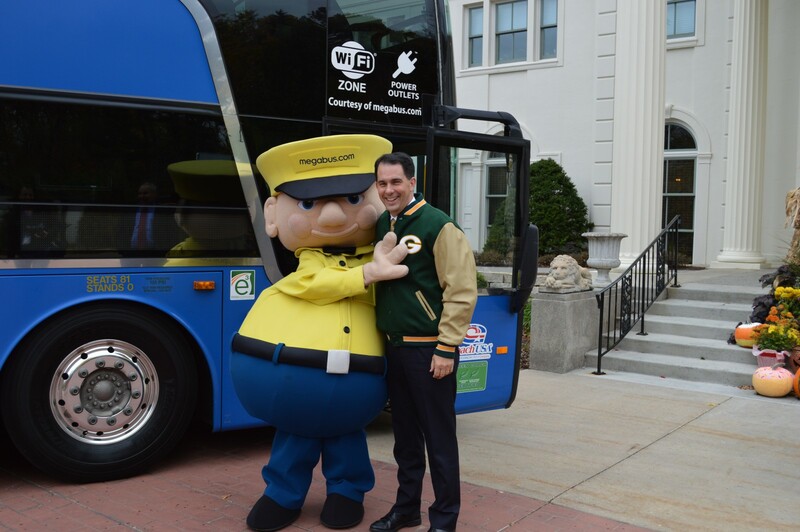 Governor Scott Walker was joined by megabus.com representatives today at the Executive Residence to unveil “The Big Cheese” double decker bus, which has been named to honor the state of Wisconsin. The name for the bus was chosen as a part of megabus.com’s “Name the Bus” campaign. The “Name the Bus” campaign was launched by megabus.com in July for the 33 states they serve, as well as the District of Columbia. Customers and residents of each state had the opportunity to participate in the naming of a bus that they felt was heavily associated with their state or a piece of their state’s history. Since their launch in 2006, megabus.com has served over 40 million customers, making them one of the largest privately funded providers of city-to-city bus transportation in the nation. 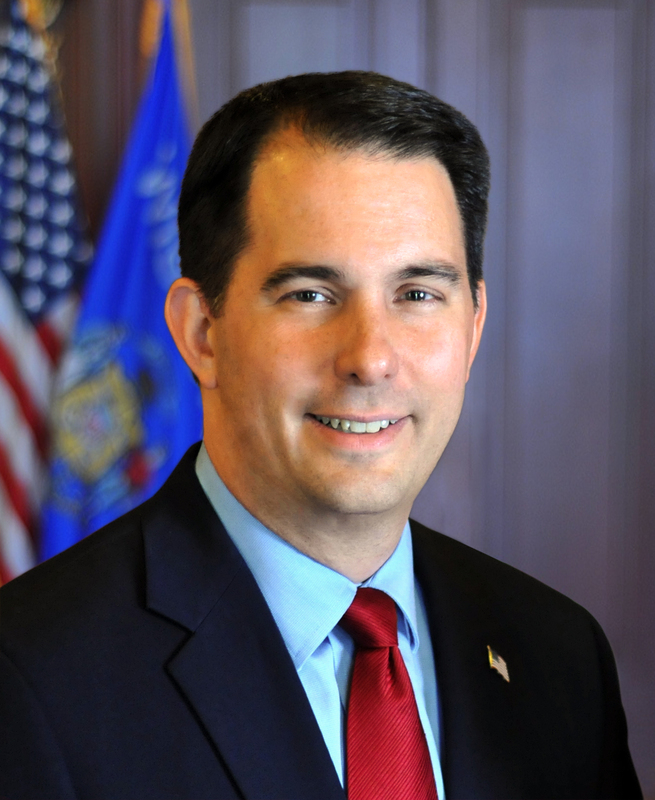 In Wisconsin, Megabus has stops in Madison and Milwaukee. Megabus provides service between these two cities and connects with Minneapolis and Chicago as well.